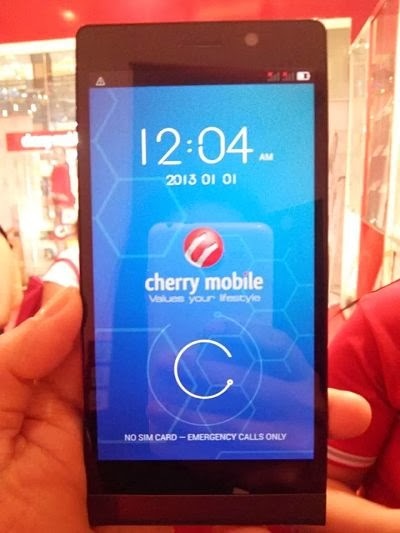 After Starmobile released their first ever octa core phone, Cherry Mobile bounced back again with their own Cosmos Z2 that runs in the same number of cores. As the company gains momentum with their products and to keep it going they launched this latest handset as a perfect rival of Diamond X1. After teasing a photo at Cherry Mobile Facebook page with the caption of 'We Are on Fire', netizens are guessing what would be the newest phone from this local manufacturer. Some wild guess that you can read on their comment box are 'Flame 2.0 Octacore' and 'Skyfire 2.0 Octa core' that closely relate to the photo teaser. As what everybody is waiting for, the latest phone of CM is posted on one of their authorized reseller's Facebook page. Cosmos Z2 is an Octa core Android phone that comes in 5-inch screen size with full HD support. If you're looking to buy a more powerful phone then you can add this on your wish list. Cosmos Z2 is a little affordable in terms of price than the other brand with same number of processor cores. Almost everything you want on a smartphone is now bundled on this phone, from power to connectivity and even multimedia are all set to high end level. For me this phone is perfect but some other netizens pointed out some lows on the features provided. First is the battery, for an full HD and 8 cores running this should be bundled with higher battery power. We also read some suggestion to bundle this with LTE and Kitkat 4.4 OS out in the box.